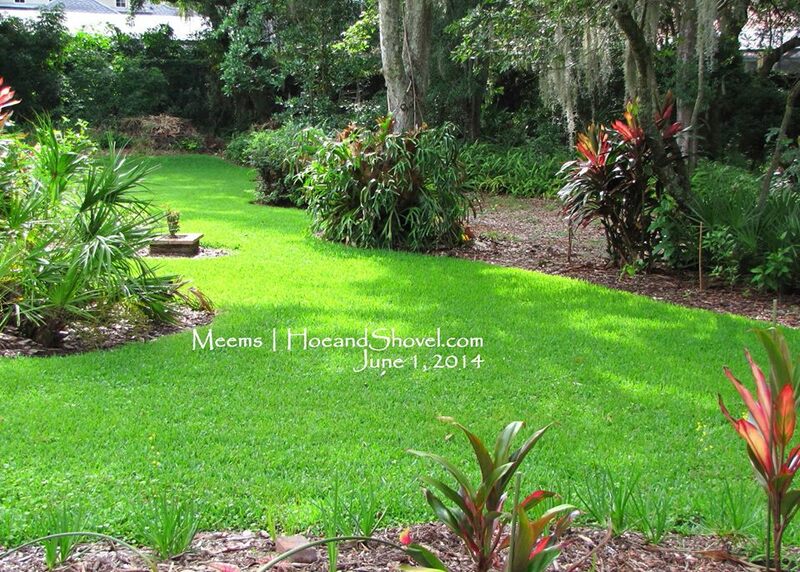 When we moved to this new garden I inherited a few jewels hidden here and there in the garden. Gardens that have been around for a while are like that. I didn't pay too much attention to any of them until we made the decision to make this our permanent home. Each treasure has become more highly appreciated as time and perspective reveal its worth. Sometimes the scales of indifference, or maybe resistance is a better word in this case, have to fall off in order to clearly see the true gifts right in front of you. Clear sight is a true gift in itself ... right! this area with my own design. The ancient (and ginormous) stag horn fern hanging heavy and low on a 40' red maple tree is one of the treasures left here by my former neighbor. I don't recall the exact history surrounding it, but I think it belonged to her parents or grandparents. I do vividly recall my neighbors painstakingly wrapping it with several quilts close-pinned together at the threat of every frost each winter season. Although I think this particular variety is probably hardy to around 25°F. This enormously wide specimen has begun to wrap itself around the trunk with its thick basal fronds clinging to the maple tree. 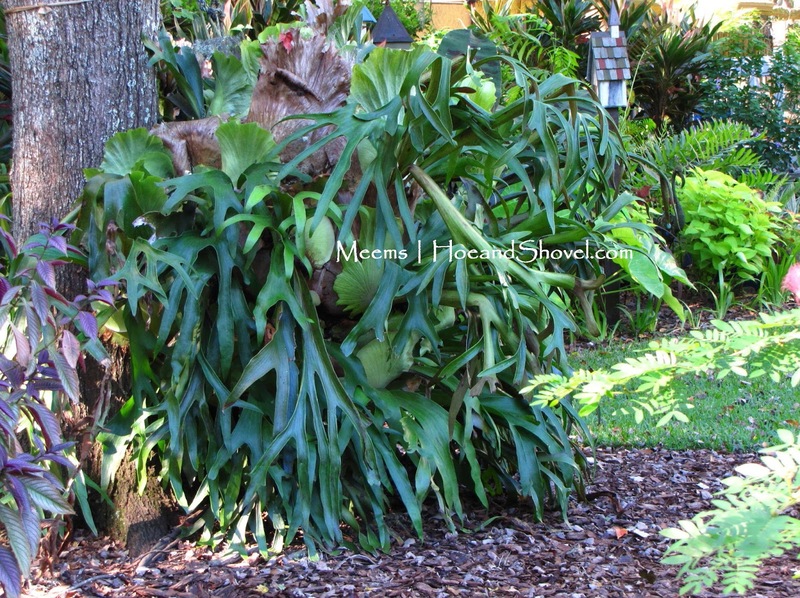 Surprisingly, this staghorn fern receives a good deal more sunshine than is generally recommended for shade-loving staghorns. A side-note tidbit about this new garden: the backyard used to be filled with pine trees, sweet gum trees and citrus trees. The former owner/neighbor had to remove most of them one by one as they got too old or in the case of pine trees were hit by lightning. It appears the fern has adapted to the changing sunlight conditions as those conditions have evolved over time. 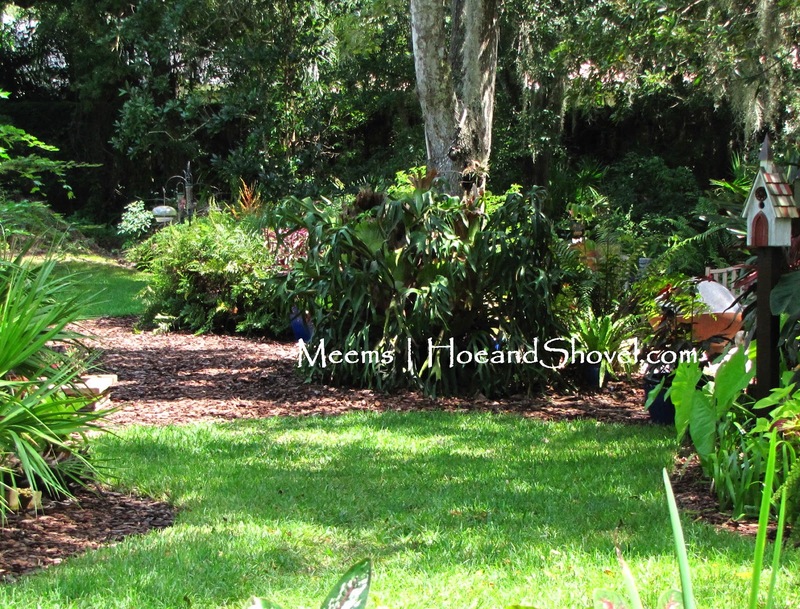 Once I started putting my own plants in this garden I designed around the fern (it would take a crane to move it.) 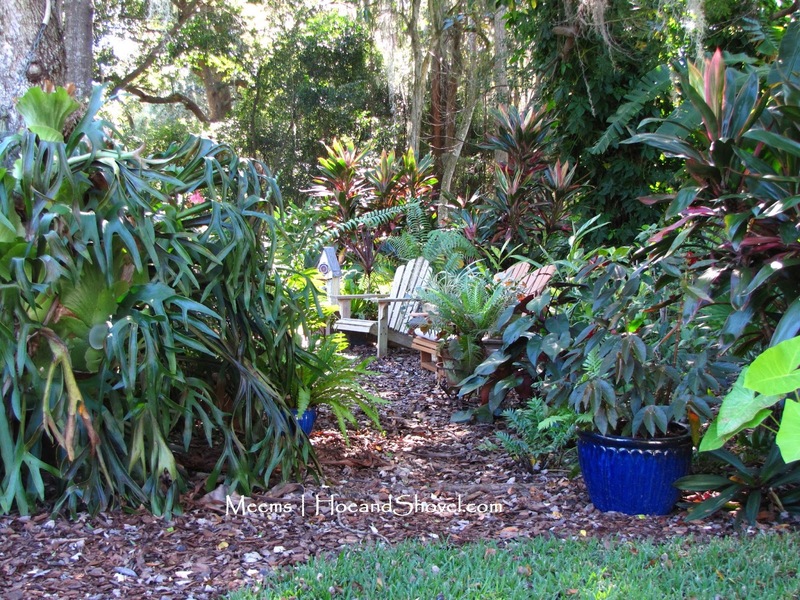 The staghorn became the centerpiece to the main pathway that leads to the back garden. It also serves as a lush tropical, welcoming marker on the left side of one of the entrances to the open fire pit seating area. I moved some holly ferns from my old garden and a cobalt blue container planting to mark the right side of the entrance. Upright portion of the basal frond. Staghorn ferns are among the group of plants called epiphytes. Meaning they thrive on nutrients from the air and rain. Surrounding plant debris and fallen leaves collect in the upright part of the basal fronds. As the collection breaks down it provides additional nourishment. In other words they are mostly self sufficient when placed in the correct environment. 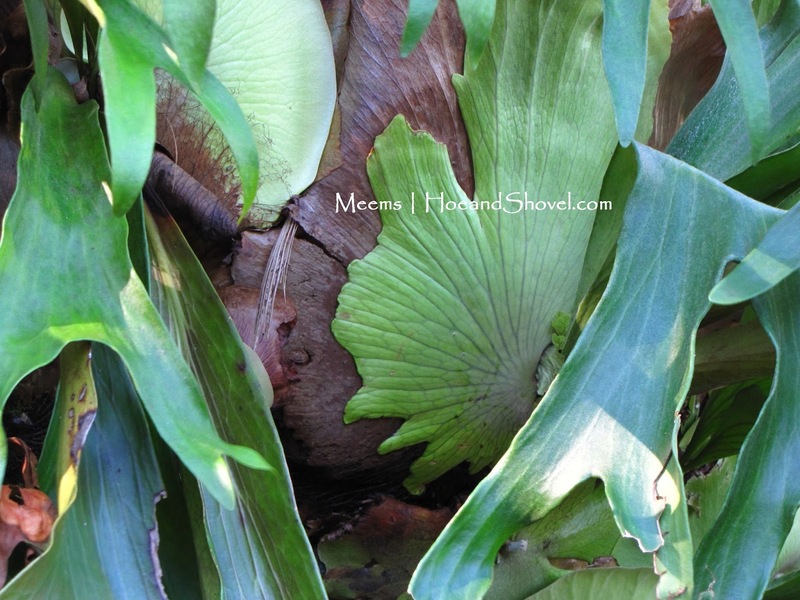 The underside of the big fern at the base of the tree. You can see the sterile basal fronds overlapping as they attach to the tree and to each other. A beautiful and unique structure creates a bowl shape underneath. Foliar fronds are the lobed pieces coming out of the base to create the beautiful shape and texture of these amazing wonders. I brought two other staghorn ferns from my old garden. They are large, but not close in size to this mammoth treasure that wasn't so hidden after all. 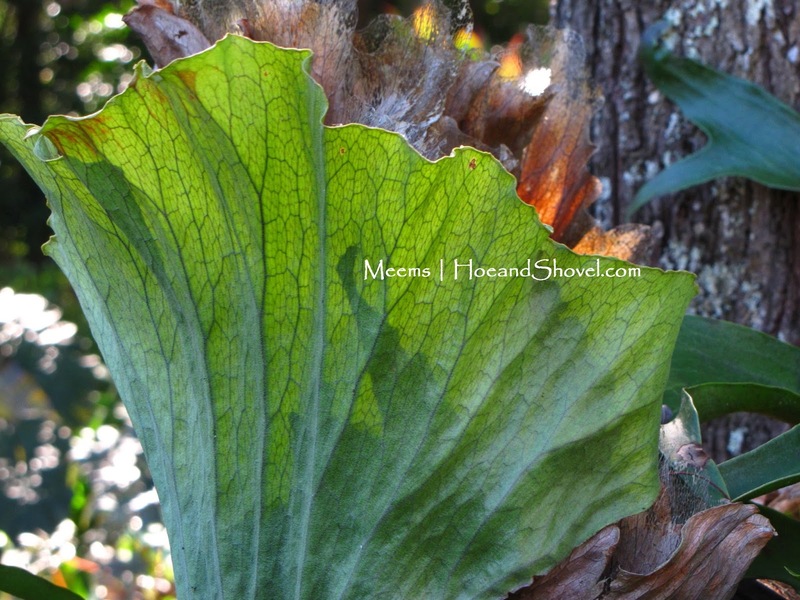 Do you grow staghorn ferns in your garden? Your staghorn is huge! So, they are shade lovers. Hmmmm! I have a huge one I can't move that is now hanging in the sun part of the day, afternoon sun to be exact. It's been there for many, many years though, but had some shade up until last year when the neighbors had their huge black oak taken down. I also have a smallish one that customers gave me at work, and two big ones found thrown out on my way to work one morning. I left the third one as it was loaded with ants. Yours is very green and healthy! 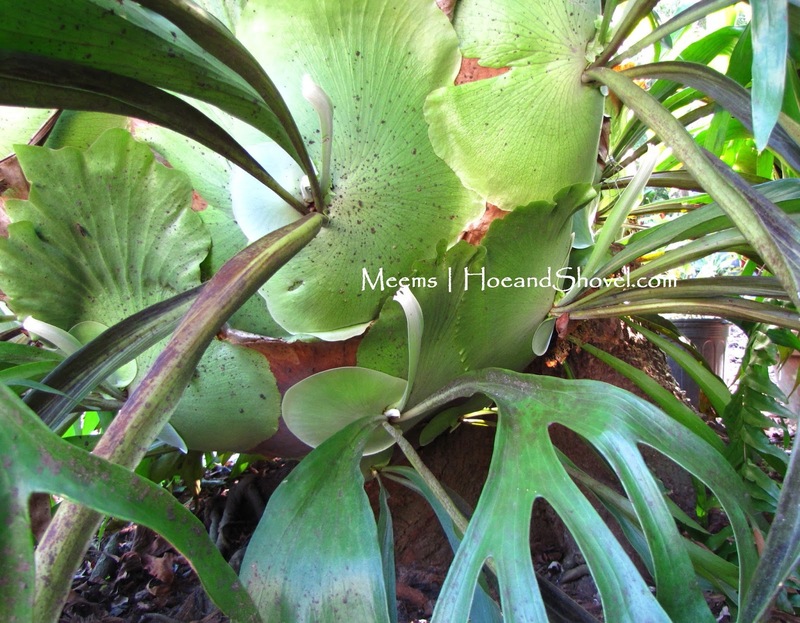 You probably want to start your staghorn in a more permanent home before it gets out of hand. They are quite weighty as they increase in size. I love to hear the stories that surround plants. The staghorn is amazing! I love it! Thanks for the post! Greets!